Holding a phone while driving a car is a red flag – a total no-no. However, in some instances, you really need to use your phone to talk to your boss, get updated in case of a family emergency and avoid getting lost in a place you are not familiar with. Thankfully, bright minds are able to create special phone mounts for vehicles. Phone mounts automatically attach to the car’s air vent or above the dashboard, usually through magnetism or clips. They are so easy to install. Despite simple installation, these phone mounts are so sturdy that your smartphone will be secured for the entire trip. To send or receive calls, you can just purchase a Bluetooth speakerphone specially made for vehicles to stop you from putting your phone above your ear, wearing an earphone or trying so hard to listen to what the other person says due to poor factory speakers. Bluetooth speakers usually have HD voice quality. They automatically connect to your phone, even when mounted on a holder. 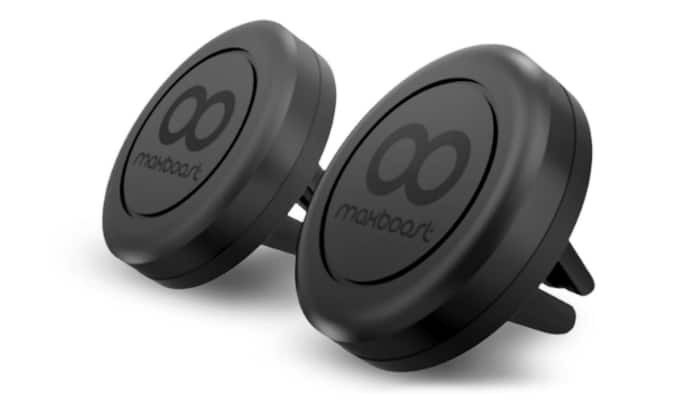 Maxboost Universal Magnetic Car Mount Holder is perfect for all smartphones and even bigger gadgets such as tablets. It can hold phones with normal protective cases, which can be inconvenient for other phone mounts because of added thickness. It is made of rubber to enhance grip and protect the vehicle’s air vent from scratches. This phone mount for cars is easy to install and remove. When it comes to storage, it can fit in a glove box. Talking further about its magnetic power, this product ensures that the surface stays clean and smooth. It does not leave any sticky or gel-like residue and has bulky clamps, brackets or cradles. Another great feature is its adjustability for better angles. You can just rotate it however you want it. 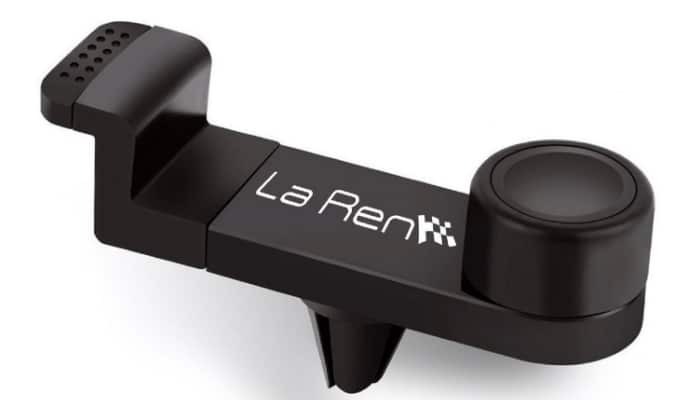 La Ren Luxury Phone Car Mount Holder can fit most sizes of air vents. It has a classy, minimal design which caters to different people’s styles. It ensures maximum phone stability without any shifting, moving or shaking even if the car hits potholes and big bumps along the way. This phone mount for cars can do a full 360-degree rotation. It lets the phone have easy access to the audio input or charging port. It can even be mounted vertically or horizontally. 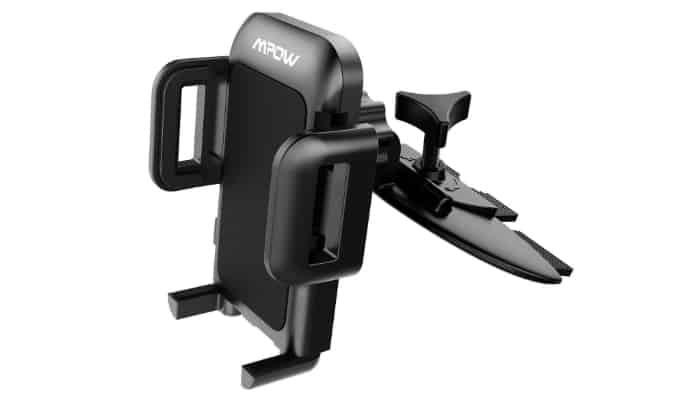 Mpow Universal Car Phone Holder Mount has a unique design. It is meant to be attached to the car’s CD slot. It has three grips to tightly secure the phone. The CD slot offers a better view and reaches for the driver compared to dashboard mounts. 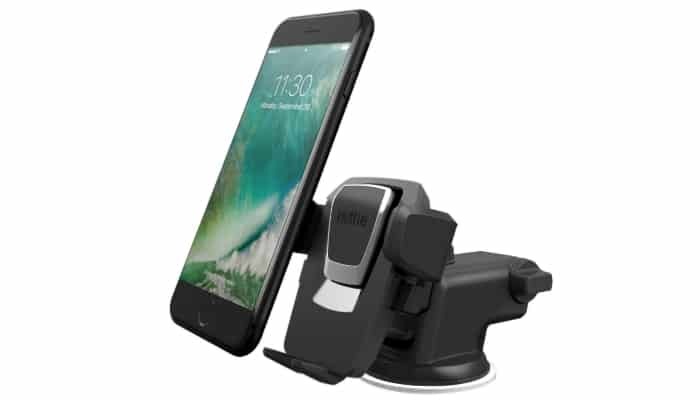 iOttie Easy One Touch Car Mount Holder literally needs just one touch to lock or release the phone. You just have to press it once with one finger. This phone mount for cars has a telescopic arm so you can make it a little bit longer for closer viewing on the phone’s screen. BE Universal Car Air Vent Mount Holder is composed of environment-friendly materials such as premium plastic and rubber. Because of this, it does not damage the air vent. It can last for several years without looking old. 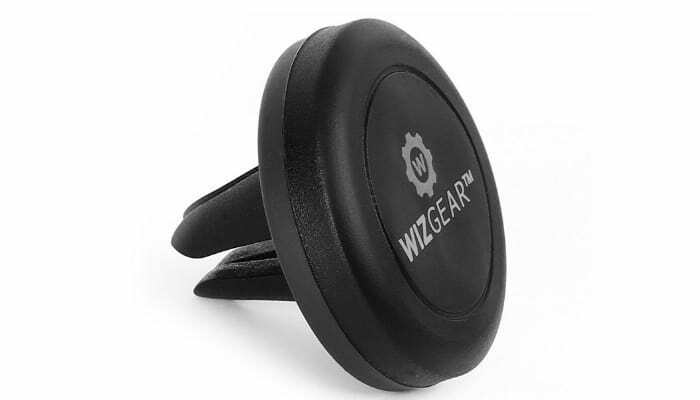 WizGear Universal Air Vent Car Mount Holder can smoothly swivel for a better angle without compromising stability. It looks so slim and modern, making it a great display. It will never be a hindrance as you look through the windshield. Not all phone mounts can hold tablets. Securely holding a tablet will need a wider grip or cradle. There are car mounts specifically made for tablets, but why not invest in a product that is good for both phones and tablets? That way, you do not have to remove the phone mount anymore just to replace it with a tablet holder. Aside from tablets, phones with protective covering can also be a lot bigger and thicker than bare ones. Again, you might want to settle with phone mounts with wider dimensions. Or, you can just remove the case before attaching the phone to the mount. It is solely based on your preferences. Rubber and magnet are perfect for a scratch-free surface. Clips that are made of hard material can be harsh for the car’s interior surface. There are also phone mounts that use a sticky substance for attachment. We recommend avoiding these products because you might experience regret after a messy removal. Although, some of these sticky substances are so high-quality that they do not leave any residue. It is just a matter of choosing the right brand. Trusting a product to hold your phone only by using magnetism can trigger caution in your part. However, with the right product, magnets can be pretty stable and more importantly, easy to install. There are phone mounts for cars that you can just install above the dashboard through magnets. It is exactly like putting magnets on your fridge. How easy is that? But, these products are usually good for small, thin phones only. A magnet for the surface plus magnet for the phone smells trouble. 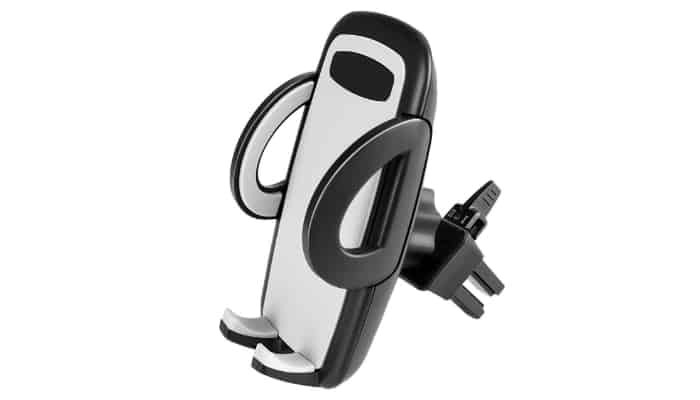 Some phone mounts are clipped over the air vent with grips instead of magnets to hold the gadget. Clips and grips can be very secure, but more time-consuming to install than magnets. Another combination is a clip for the air vent and magnet for the phone. This is a nice idea because it combines convenience and stability. No matter how the installation goes, the most important part is how sturdy the mount is for your phone’s safety. Now, we are going to find out why some phone mounts are installed on air vents while some are attached above the dashboard or inside the CD slot. It is simple really: perspective. Phone mounts installed above the dashboard keep the air vent open, especially during hot days. But, they can be distracting because some even distract the driver’s windshield view. The CD slot attachment is the least popular because of how complicated it sounds, but it keeps the air vent free and the windshield clear. On the other hand, air vent phone mounts are the most popular ones. They are distraction-free. They just obstruct one side of the air vents. 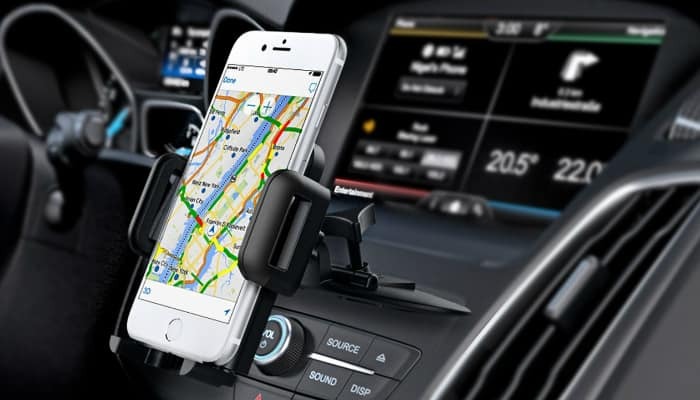 Phone mounts for cars are convenient for the driver, as well as important for safety. Holding a phone while driving will never be a good idea. Invest on phone mounts because you really need these. Always be informed and updated while staying safe on the road. In line with that, you may also check our take on the best radar detector. On the other hand, you may also check out our guide on picking car interior essentials.